We are so pleased with the success of our new 'Snack Shack! ', every morning before school, pupils can buy a variety of healthy and delicious snacks. 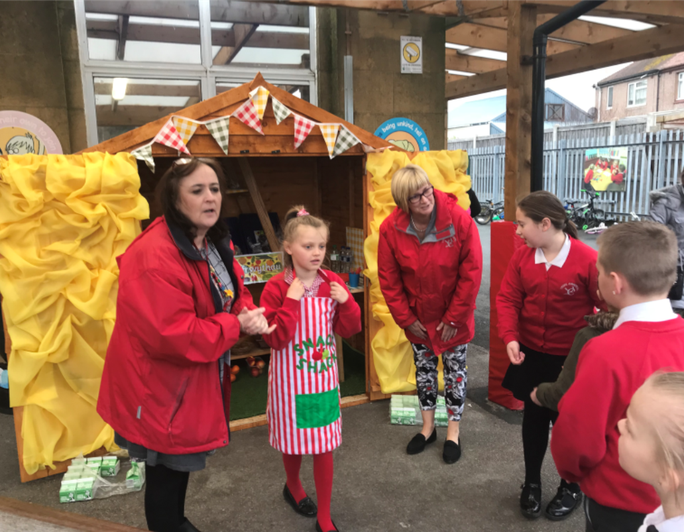 We also open the 'Snack Shack' at the end of the school day, so our parents and pupils can also buy a healthy snack to enjoy! Our snack costs only 20p, and all goes into the Year 4 enterprise pot, which then goes back into purchasing equipment for our school. We are extremely grateful for all the parents and pupils support!